Panasonic Etherea Air Conditioning Unit - CS-Z25TKEW (2.5Kw) is one of the most energy efficient systems on the market for its given output. 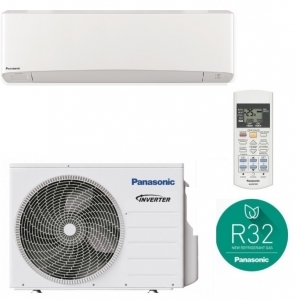 This heat pump has a maximum cooling output of 3Kw and heating output of 5Kw, whilst being extremely energy efficient. Another feature to increase energy efficiency is the Eco-Patrol sensor. This monitors activity in the room and then alters its output appropriately, for the number of occupants it sees.